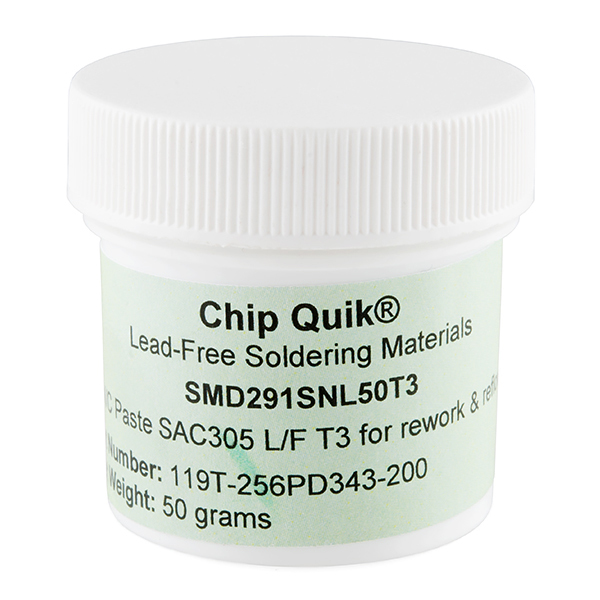 This is 50g of high quality, Lead-Free Solder Paste, the perfect amount to keep around for prototyping and hobby projects that require a bit of SMD soldering. Solder Paste Stenciling is the easiest and quickest way to solder some of the trickier SMD components. Here at SparkFun, we use solder paste stenciling on pretty much all of our boards. It saves us a lot of time. But stenciling takes more than just a stencil and a dream... you're going to need some paste. Could I use this paste to solder .008" brass wire to etched brass parts with a regular soldering iron? I think it would provide better control than solder because I can't have blobs of any kind - this is a 1:160 scale handrail for a model locomotive. how many days it can stay without refrigeration ? Production date? Production date is very important as components inside the paste wear-off after 6 months of PRODUCTION date (yes, not case opening date). I'm not sure this is something we can easily post and keep accurate. We are being intentional about how much we keep in stock so it doesn't sit too long. If you are looking to buy and need the exact date email techsupport@sparkfun.com and they should be able to check for you. Checking with our recent stock (it's December currently), the manufacture date indicates that this shipment was manufactured sometime last month. 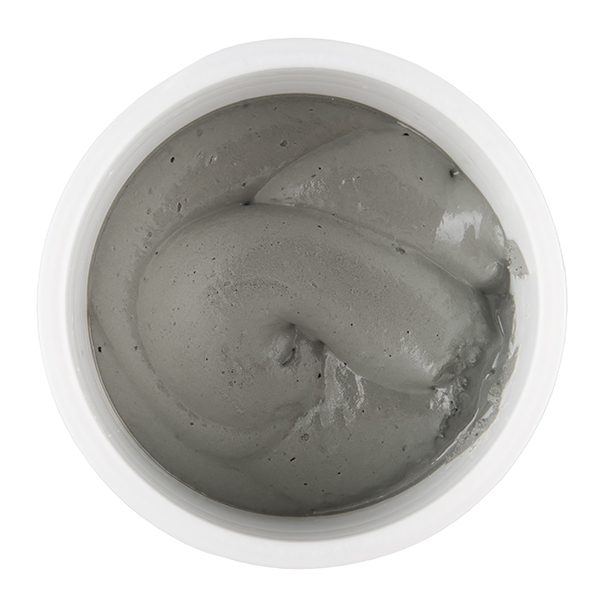 The solder paste is currently stored at room temperature (so around 68-73 Â°F) with the rest of the stock at SparkFun. Someone asked this in the YouTube comments, but I'd like to ask it here as well. How much time do you have between applying the solder paste and placing components? Could I apply paste to say 100 boards, and then populate them all, or would the paste dry out before I got to board number 10? I should mention keeping it in a cool place in an insulated bag does okay as well. I do that since I don't want to power another refrigerator. The peltier small coolers don't work very well for cooling a plastic container. Probably not a good idea to keep it in the same refrigerator as your food. As long as it is in a sealed container so it is isolated from foodstuff, it should be fine. Most of the dangerous byproducts of solder paste are released into the air during reflow. Thanks, I have been considering that. But is there issues with flux evaporating? Even sealed containers can allow gases to seep through. I feel a little better since its lead free. Nice to see SFE finally has lead free stuff. Now I can get smaller quantities. In the new product post, Rob said to keep it refrigerated when you aren't using it. Solution to all the problems I didn't know I had. I've been prototyping my own PCBs for nearly a decade now. Lately I've been getting all bent out of shape as components get smaller and smaller, but I can't figure out how to use them because the packages hide the pins (QFN, BGA, MLP, MicroFET..). I'd spent a lot of time making footprints larger than the packages so that I could solder one pin, and then wick the rest. But this was a mess, and often didn't work on the first try (which means it only gets worse from there). And then I got a stencil and tried this stuff. It's just completely magical. You smear it all over the design the table top and maybe some on the dog, but when you apply heat the surface tension just draws it back onto the pads (as long as you don't have too much it works fantastic). 50g seems like it should last a lifetime, but we'll see how long it keeps in the fridge. Anyhow, Good job sparkfun: you rock. Making my life easier, keep it up. I like that. PS The dog was meant to be hyperbole. Don't do that. Finding the right solder paste for small SMD rework applications was tricky, until I found this product. It's easy to work with, and goes a long way. As advertized and much easier to use on SMDs. This is my first paste for SMD. I am using a stencil with this product and it works great. Easily clean your tools with a paper towel and a bit of isopropyl alcohol if you need. Keep cool after opening. As this was the first time I had done hot air SMD soldering I can't rate this against anything else but I have done conventional soldering for 60 years and this is so easy I was amazed. Good quality, soldering smd is very easy with this paste.